Holly Thompson is the Williamston city clerk and has been busy working on preparing Williamston for one day – the 2018 midterm election. A couple of large tasks that she does for elections which help ensure a fair and easy process for her community are ordering ballots and updating computers. For residents who order ballots overseas, they ship out the absentee ballots 45 days in advance. Thompson’s office also has bipartisan flyers for people looking to learn more about the candidates. More absentee ballots could mean more voters who typically stay at home during midterms, are out and participating. Rich Martin, the 71-year-old owner of Barrett’s in downtown Williamston, mentioned that he can count on one hand how many elections he has not voted in. The first time Martin voted, he remembers feeling “puffed up” and proud. Despite being a midterm election, Martin still tries to be as educated about the candidates and proposals on the ballot as possible. In order to do so, Martin reads two national papers – The New York Times and The Wall Street Journal. He uses these to help become familiar with the issues and how each candidate reacts to them, which will help determine who he votes for in the end. “I’m familiar with the issues and I’m familiar with the people that are using the issues to try and further their position in getting elected,” Martin said. The Studio Shop owner, Will Long researches more bipartisan websites and Facebook pages. Long aims to find the most accurate information and consults multiple sources about an issue to see how each network or commenters react to each issue. Long has become a more consistent voter since moving to Williamston, and he attributes that to his business. Long used to move around a lot while in the military and did not want to get involved in local issues of a town if he were just going to move again. “I’ve moved around a lot so now that I’m kind of stationery here I feel like it’s my duty to vote now,” Long said. It is never too late to get involved and research the items on the ballot. Also, the clerks are there to answer questions about how to vote using the machines and absentee ballots. “Never be terrified of the process because that’s what we’re here for, and that’s what we’re here to make sure that you have a smooth process,” Thompson said. For Williamston city residents, the precincts are split up between Grand River Avenue and both will vote in the middle school in Williamston on Tuesday. 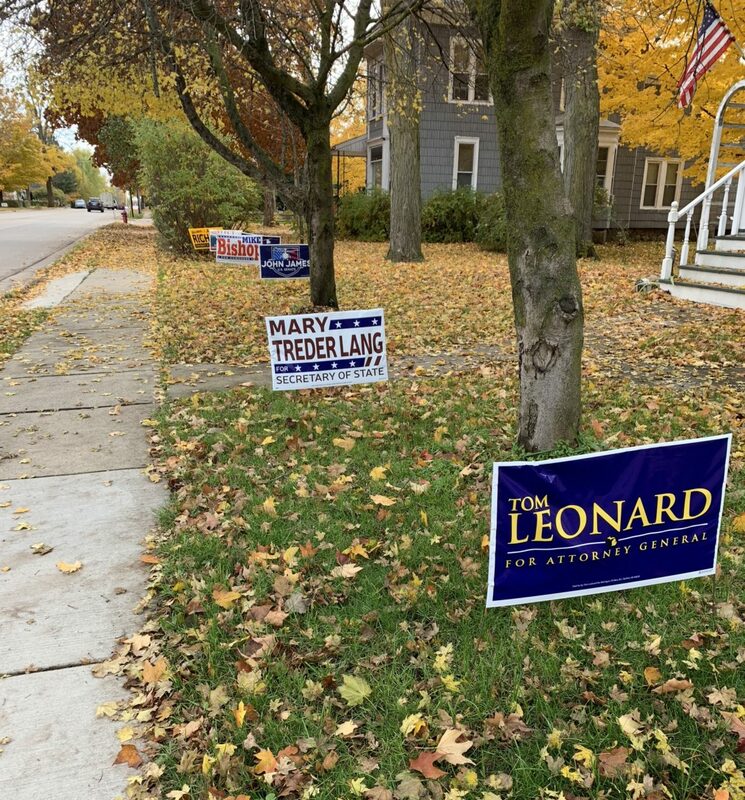 This past Election Day in Grand Ledge resulted in a poor turnout of voters. According to Grand Ledge City Clerk Gregory Newman, only 10 percent of the registered voters in the city of Grand Ledge came out to the polls to vote on Nov.